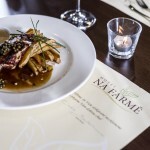 The family Hotel Na Farmě was opened on the 4th of April, 2014. It is situated in the picturesque village of Choťovice, close to the Poděbrady spa town, 4 kilometres off the D11 highway on the 50th kilometre between Prague and Hradec Králové (EXIT 50 – Kolín, Žehuň). 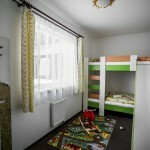 The hotel is a midway point between the towns of Poděbrady, Kolín and Chlumec nad Cidlinou. Our hotel pleasantly combines a traditional family atmosphere with 21st century conveniences. Our other advantages include high quality gastronomic services, with the food prepared with ingredients from our own sources. We offer engaging activities for both children and adults directly in the hotel complex, and since the hotel is situated in an attractive location, it offers many sports, tourist and cultural activities in the surrounding area as well. All calves are born on our farm in Žehuň, and they are fed with a milk mixture. 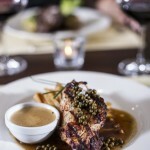 Matured veal is offered in the highest quality. Veal is the best and healthiest meat that we have on offer. The beef also comes from our farm in Žehuň. Our goal is to provide top-quality meat, which is the reason why we process it ourselves and leave it to mature in our cutting room. The meat loses water, making it tastier and more tender. 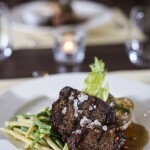 We keep meat breeds on our form with the aim of providing the best culinary experience for you. The pork comes from our farm in Choťovice. We own a nucleus (full-blooded) breed of Czech Improved White pigs intended for reproduction. The animals are under regular inspection of the veterinary administration and the sows are regularly checked with ultrasound in order to optimize the lard thickness and the proportion of lean muscle. 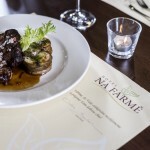 Accommodation in a country environment, but of a high standard, that is Hotel Na Farmě.